Today was liberating for me. I think I always felt that something exciting such as a cheesecake needed to be made for some kind of occasion. A family get-together, a holiday, some friends coming over, or just a regular Shabbos (Sabbath) meal. Don’t worry, that hasn’t stopped me from making some delicious cheesecakes in the past. I know what you’re thinking. This gal makes so many different kinds of desserts, they can’t all be for a special occasion. Well, they aren’t. But somehow, some desserts seem fancier than others, and I always felt they needed an occasion. And that’s why today was liberating. I didn’t make this cheesecake because of any special occasion. I didn’t make this because guest were coming or because it was a holiday of sorts. No, I made this because I dreamed it up, and just had to try it out. Yeah, it was one of those light-bulb moments when I knew I had come up with a fabulous dessert idea. Just take a look at this and you’ll understand why you shouldn’t put off making this dessert. It’s rich. It’s creamy. It’s pure decadence. Oh, and it’s a kind of s’mores. Really, could you ask for more? Melt chocolate over a double boiler and set aside to cool slightly. In the bowl of an electric mixer, beat together the cream cheese, cocoa powder, sugar and eggs until creamy. Fold in the melted chocolate and stir to combine fully. Do not over-mix. Pour the cheese mixture into the prepared graham cracker crust. Bake at 325 for 35-40 minutes, until just set (the middle may still be a drop jiggly). Remove from oven and set aside while you prepare the topping. Remove cheesecake from the broiler, and refrigerate until cool. Serve cold. I am overwhelmed. That looks AMAZING, and like something I could actually make sometime!!! Your cheesecake looks amazing! 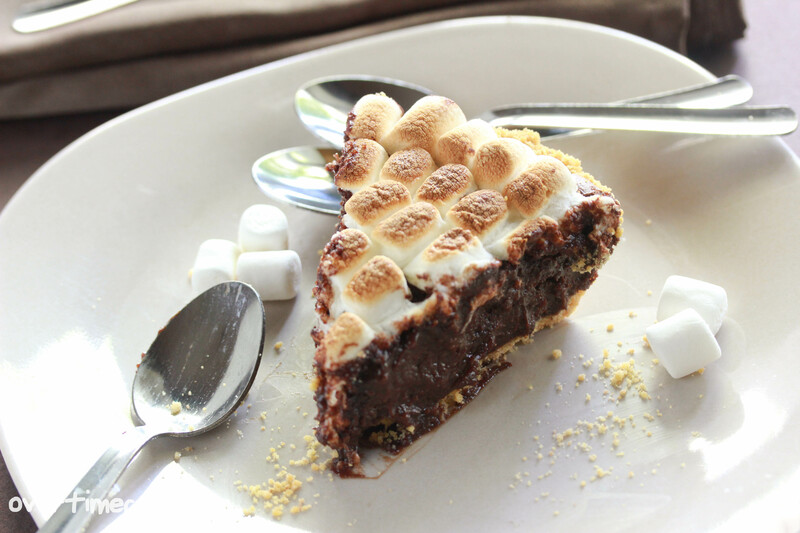 Your generous layer of marshmallow topping reminds of the campfire marshmallows that I used to eat when I go camping… Yum! i think i’ve just died & gone to heaven! 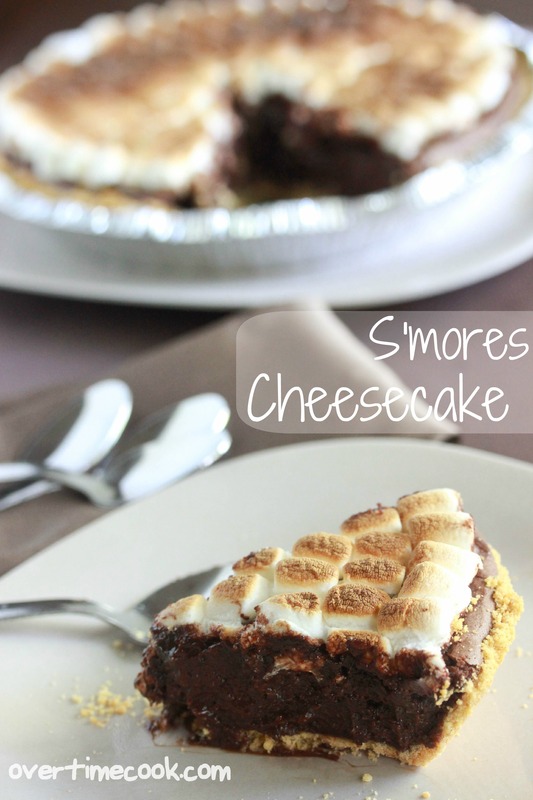 What a great idea for a cheesecake! It looks amazing. Went to the store today. Picked up all the stuff to make this…because after I saw it yesterday, I couldn’t resist. Oh em gee. So many delicious things going on in my kitchen today!!! That looks so yummy–look what I just found by accident? Thought I’d share it with you and your readers–Happy National S’mores Day! 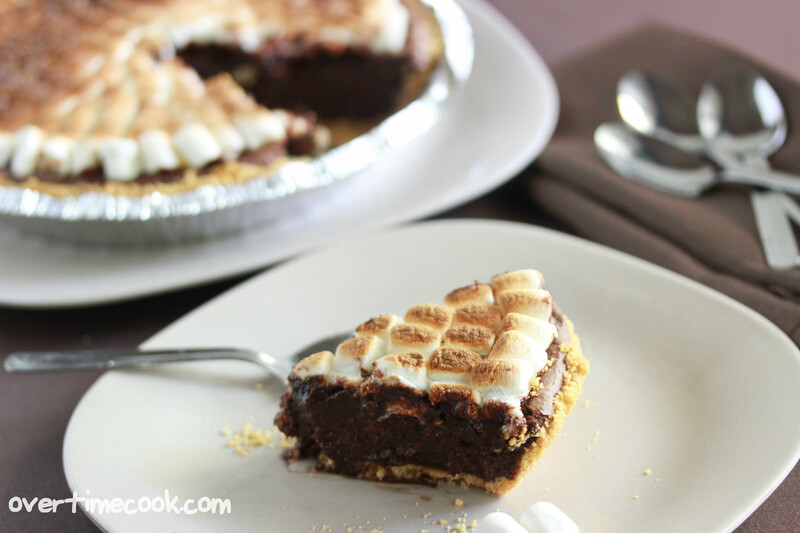 I keep seeing so many delicious s’more recipes and it makes me wish I could find graham crackers! Do you think I can make this non-dairy? Also, I once tasted a heavenly parve cheesecake, graham cracker crust, plain vanilla center (tasting similar to your cookie dough cheese cake only without the cookie dough, then some sort of caramel topping (that’s what I guess it was) and then on the top was large chunks of white Viennese crunch. Basically the caramel topping was warmed before poured on the cake and the Viennese crunch melted enough to stick but not loose its shape. Anyway after this whole rambling my point is….. do you think you can maybe come up with some sort of recipe for this? Esther, I made this with toffuti cream cheese, so definitely it can be made parve. That cheesecake sounds delicious, I’ll have to work on it! Oh man. Cheeesecaaaaake. Darn it, why isn’t this already in my fridge?! it was DELICIOUS!!!! I’m glad I was on hand to taste it…. wishing for some of it now….. Sorry, can’t talk with a whole cake shoved in my face. Wow, this looks finger licking good!!! Why don’t you submit yours and make other people hungry. Making this tonight for dessert. Can’t wait to try it! No meal should be had without a proper blessing… Lord in Heaven, please have mercy on my thighs for this entire cheesecake that I am singlehandedly about to partake of. Amen. Oh my heavens. Made this today and it is GOOOOOD! Hi, So I made this for Shavout and it was sooo amazing. The only prob was the Marshmallows actually became like plastic and could not be cut through. I think it was because they needed to be browned and then served immediately, I served it the next day. Maybe you could suggest in the future to only brown on the same day. BUT it was soo amazing! Reblogged this on maliachy's Blog. I’m gonna make this ! Can this cake be frozen to be eaten at a later time ?? Can I make this Thursday eve for shabbas lunch ? hii i luv the recipe but the prob is when i put the choc aside to cool it got hard! what did i do wrong?